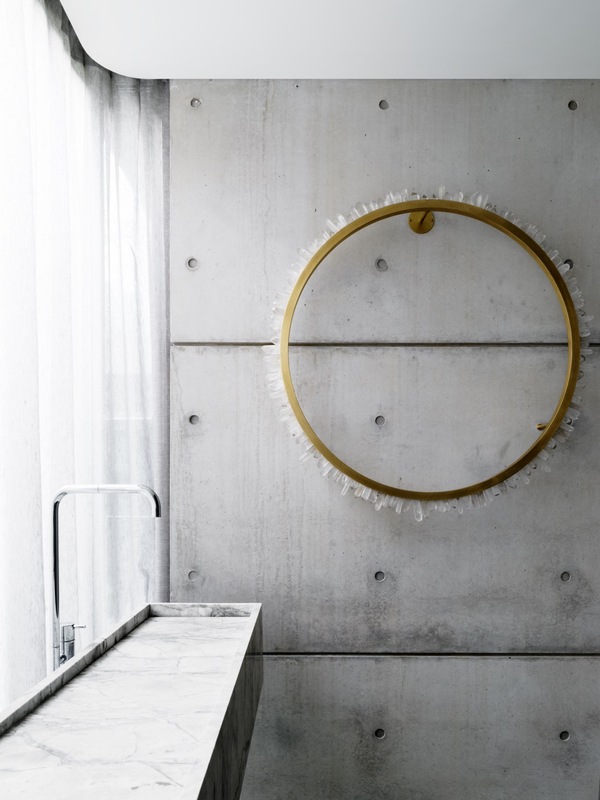 From industrial chic to shiny luxe, metals are having quite an interior moment. 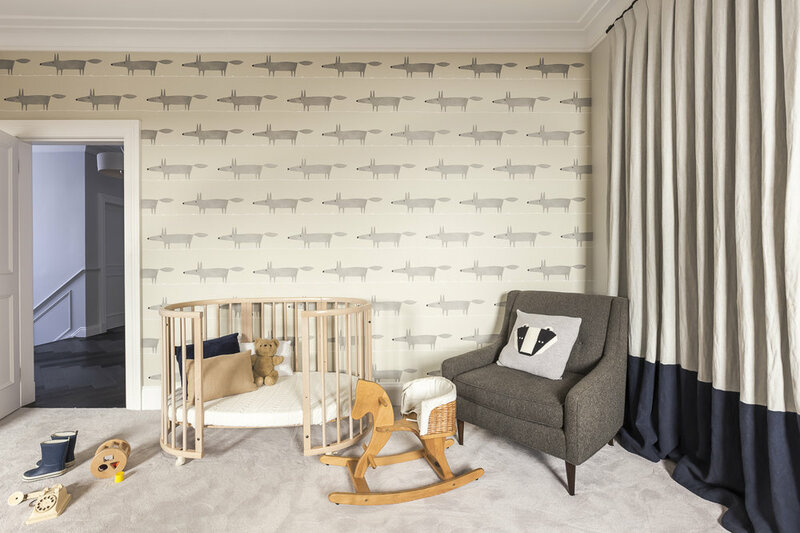 With so many ways to incorporate, style and mix the material, there’s no sign of this illustrious trend disappearing from design any time soon. Don’t be put off by the stark and cold elements normally associated with industrial-style interiors. 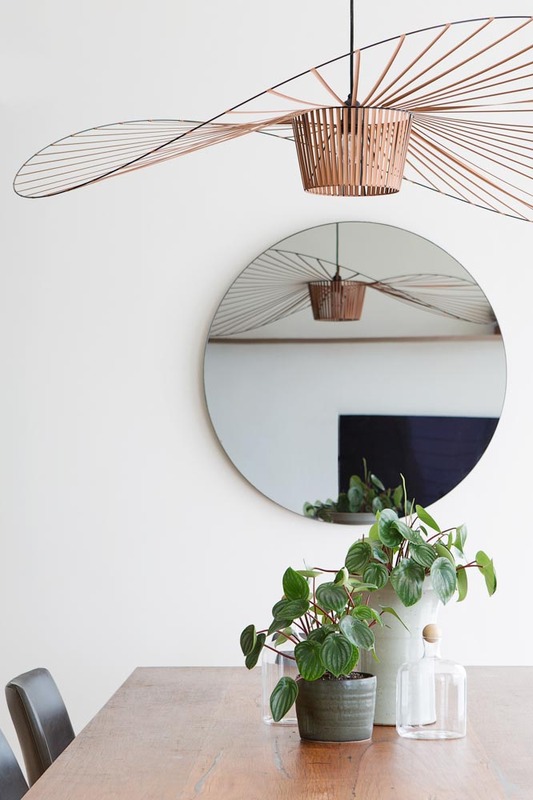 Metals can bring an elegance and sophistication into your home, and warmer tones such as brass, rose gold and - of course - our favourite copper can add warmth to any room. Cooler metals such as steel and chrome can be paired with deep colours and rich, luxurious fabrics to balance two contrasting styles. Soft furnishings and added details can likewise counteract the starkness common to more industrial shades of metal, and rounded shapes can soften an otherwise sharp edge. For a distinct and eclectic look, different metals can be mixed and layered in the same room to make a home feel unique. A metal balustrade can transform a typically functional element of your home into a piece of art unto itself. 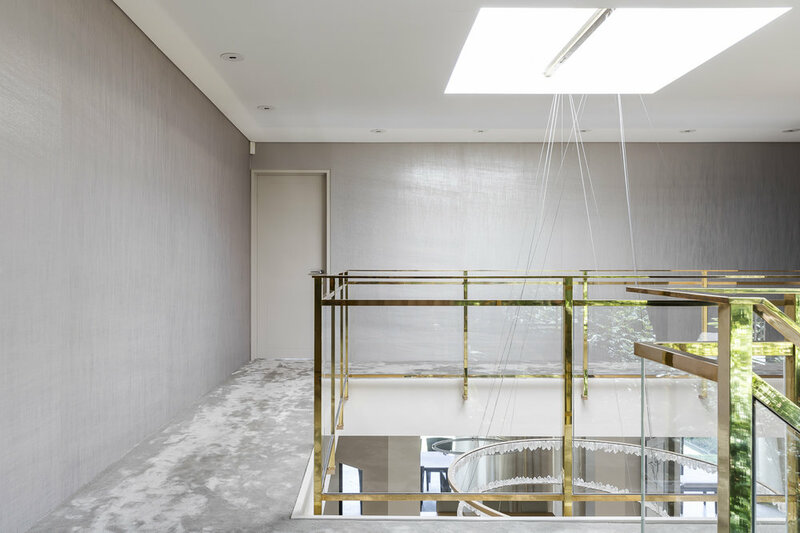 For our Hunters Hill House project, we incorporated a gold handrail and balustrade to create a beautiful feature that frames the home. The gold tone perfectly captures the light, brightening the space whilst adding a touch of luxury. For a more subtle nod to the metallic trend, metal can be used in joinery to bring a beautiful accent to woodwork. Gold or brass can add a pleasing contrast to woodwork, whether that be inlayed, as handles, trims, shelves or a decorative feature. Subtle, yet eye-catching, and ultimately luxe. 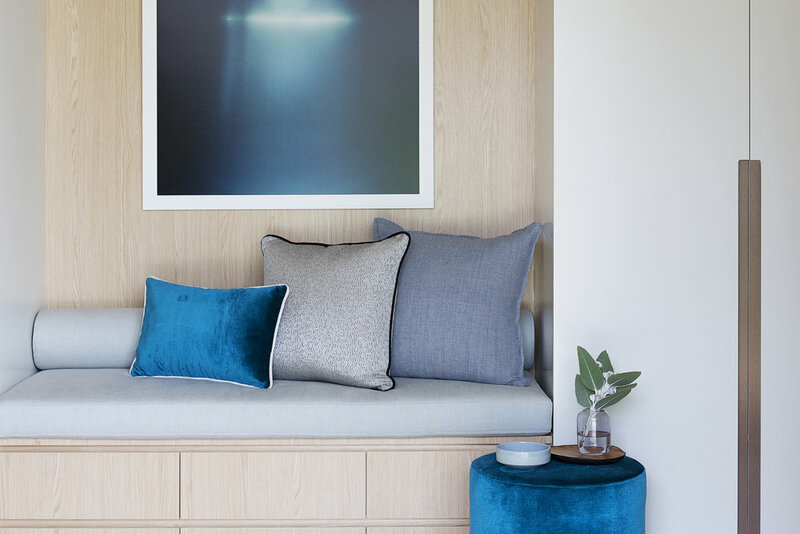 Metal accessories and furniture bring a bright and bold accent to any room, and can be cleverly used to play with the surrounding light, making the material a perfect antidote to dark rooms. Gold-legged stools, brass pots and picture frames create a sense of timeless chic, especially in combination with contrasting fabrics and colours. Lighting lends itself well to the metal trend. Warm bulbs cast a soft light that, when paired with cooler metals such as iron, brings a high-end finish to a room. 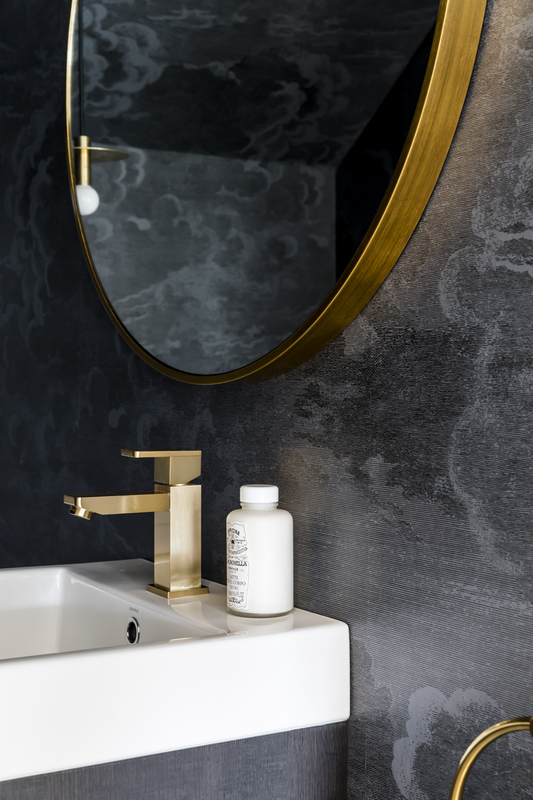 Brass and copper look at home paired with wood bring warmth to cooler textures, such as the concrete-clad walls in our Mosman House project. 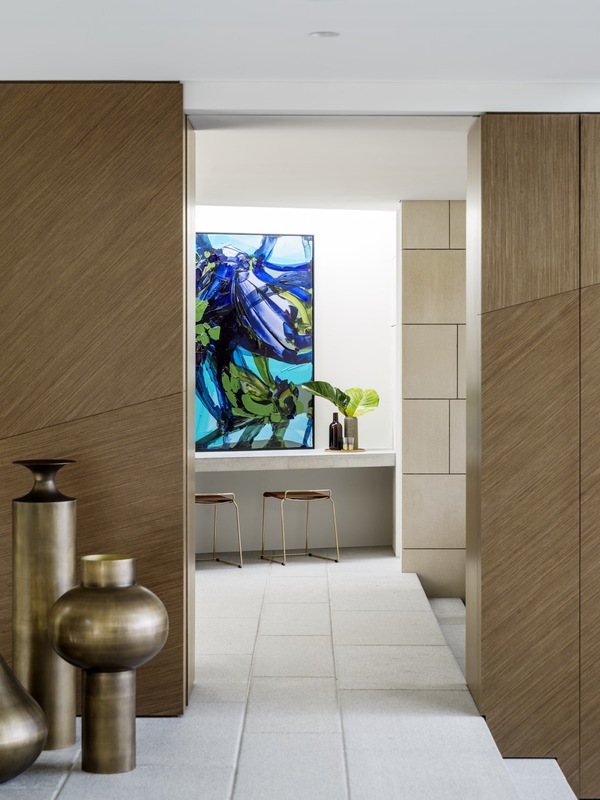 Sculptural forms can provide focal points, framing areas such as dining settings and hallways. 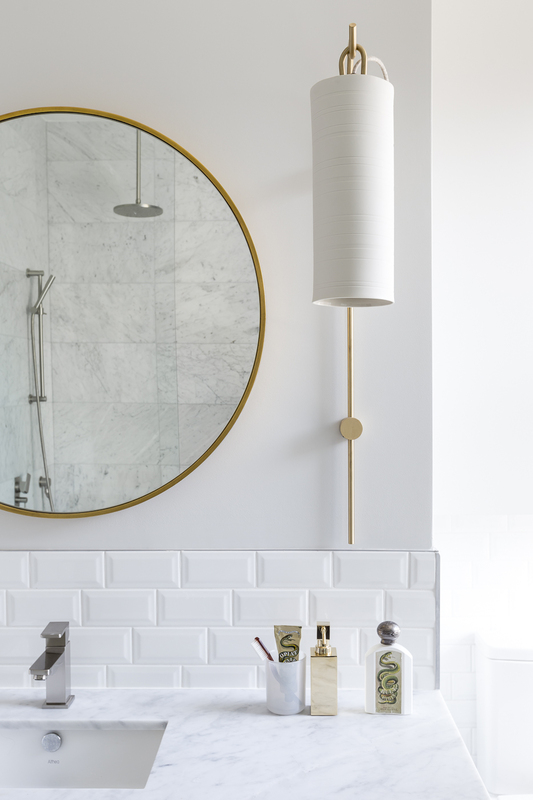 In an all-white bathroom, metal detailing adds an elegant finesse, as seen in our Victoria Street project.